What a fabulous day that was. 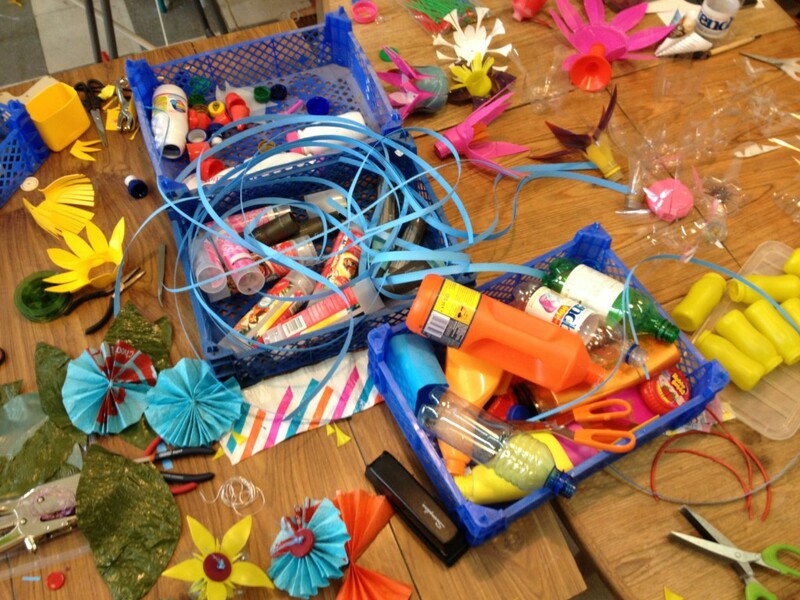 Here’s a lovely video and slideshow of the event and pre-event workshops. Well done everyone involved! 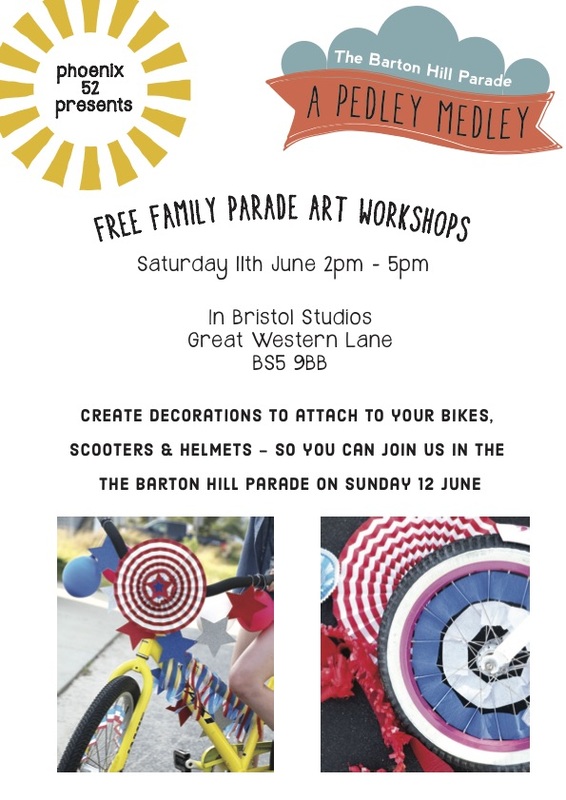 Also Free Family Parade Art Workshop at In Bristol Studios, Great Western Lane, BS5 9BB on Saturday 11 June 2016, from 2-5pm! Create decorations to attach to your bikes, scooters & helmets so you can join the parade. Phoenix52 has teemed up with The Lamplighters & the Church Road Town Team to present the second Church Road Lantern Parade, which will be leaving Redfield Educate Together Primary School, Avonvale Rd, Bristol BS5 9RH at 17:00 (5pm) and making it’s way down Avonvale Road to Church Road and ending up back at Redfield Educate Together Primary School at around 17:30 (5.30pm) just in time for the opening of the Educate Together Winter Fair. Highlights of the Winter Fair include hot & cold snacks, games and stalls, to book at sall contact 0117 379 0777. 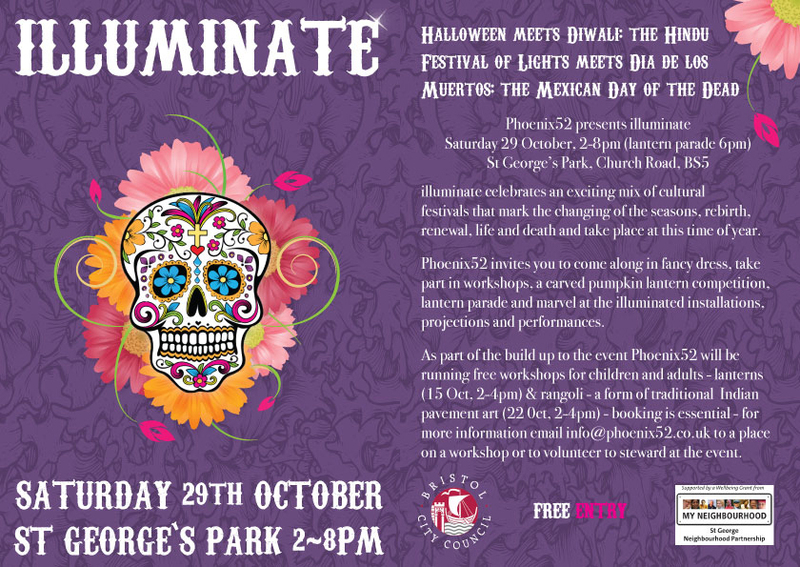 Phoeinx52 Artists Amy Peck, Kerry Russell and Sally Reay will be creating three giant lanterns for the parade, as well as running for lantern making workshops for year 4 students at Summerhill Academy. 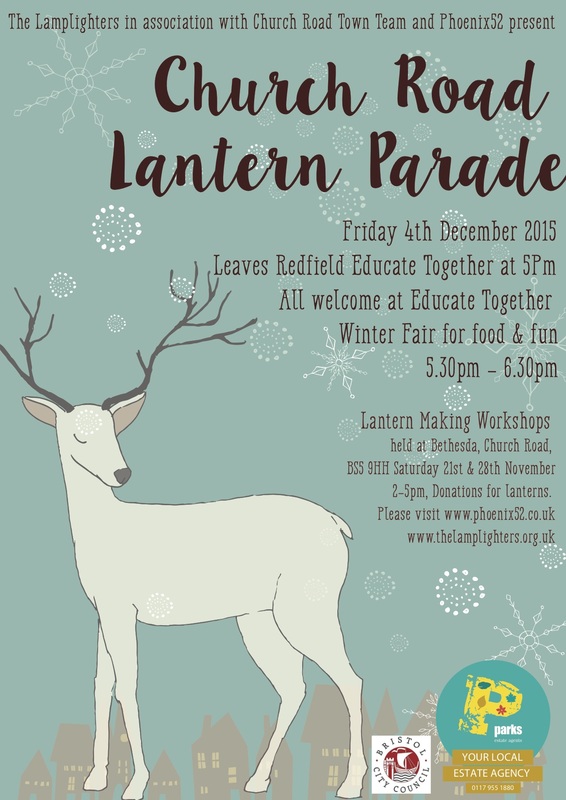 Come along to one of the two The Lamplighters Lantern Making Workshops that are being held at Bethesda, Church Road, BS5 9HH on Saturday 21 or Saturday 28 November from 14:00-17:00 (2-5pm) – minimum donation of £3 for each lantern made at these workshops. Suitable for ages 2 years to 108 years young – all are welcome. Or alternatively pick up a lantern kit for £6.00 which contains instructions, willow, tissue and tape to make two willow lanterns. Email info@thelamplighters.org.uk for details of where to can buy the kits. 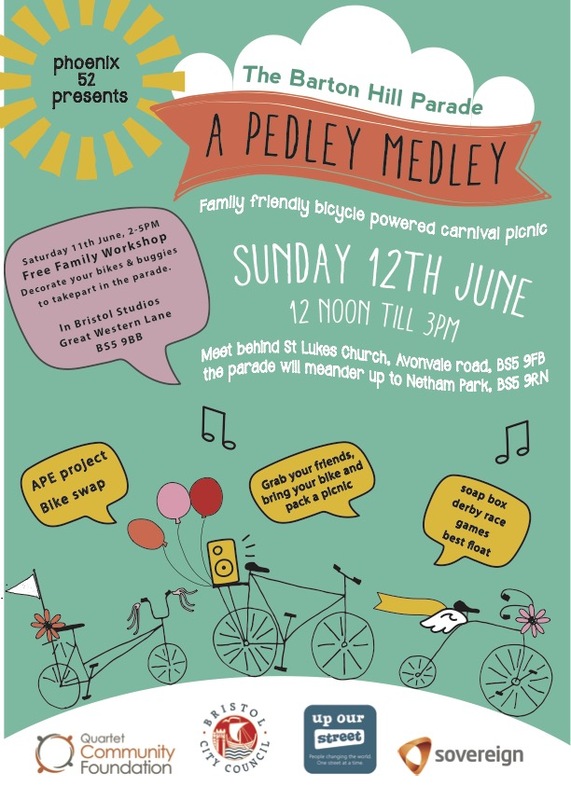 This event is funded by Bristol City Council & Parks Estate Agent, with batteries for the lanterns donated by our local branches of Tesco & Aldi. What a wonderful event – the sun shone and it was remarkably warm for the time of year so the turnout was amazing! We’ve set up a photo album documenting the event here and we are currently editing a short film of the event which we will post here in due course. Lou Gray of Lou’s Decore for the ofrenda installation, the monster parade and Day of the Dead Mask workshop and also to Scoob for helping out on the day and taking photos. Rachel & Guy from the APE Project for the games, workshops, installations, electric organ and shadow puppet projections. The Ambling ‘Mariachi’ Band for the wonderful live music. Iris West and her team of stilt walkers and for the illuminated hula hoop/diablo performance. Dilkush Ghangra Drummers for the Dohl drumming & dance performance. Dee Moxon for the illuminated Diwali Peacock Puppet, workshops and for leading the parade. Tracey Graham for her giant Day of the Dead masks and graveyard installations. Martin Maudsley for spooky storytelling at the Feast of Fools. Amy Peck for the moon lantern installation and lantern workshop. Kerry Russell for the pompom lantern installation and for leading on the floating lotus lanterns. Sally Reay for the Diwali Star lantern installations and the Feast of Fools and to Keith Reay for helping out with the set up and taking down. 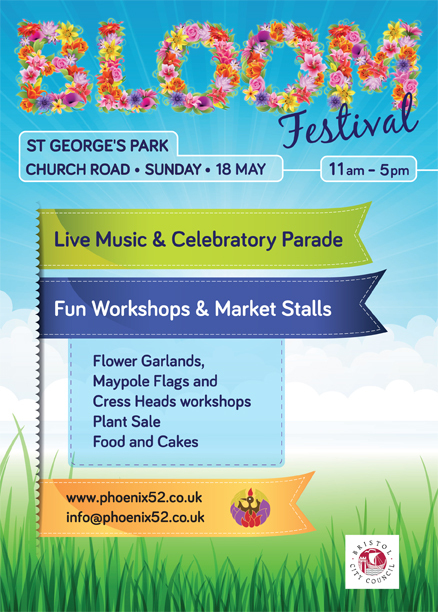 Thanks to financial support from Bristol City Council’s Festivals & Events Fund, we were able to present another Bloom Festival in St George’s Park on Sunday 18 May 2014! 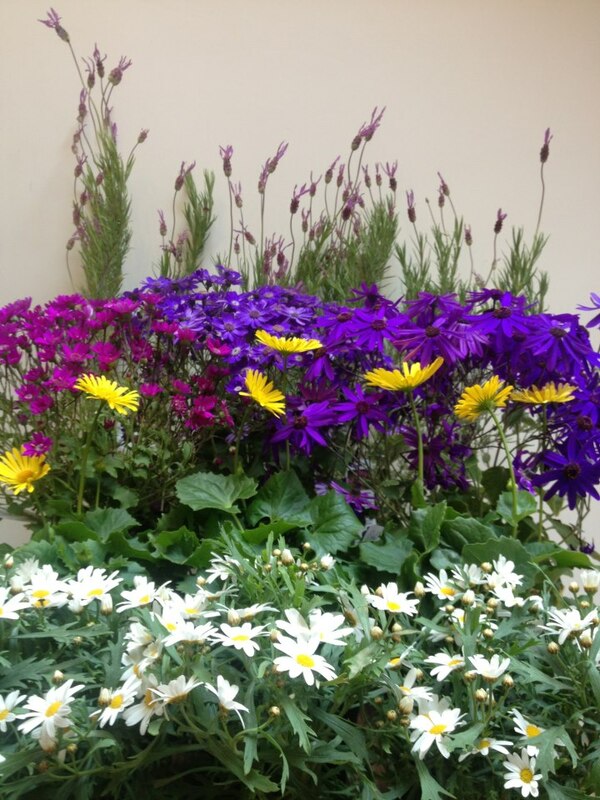 love your neighbourhood – recycle, reuse, & grow! Updated 20 May 2013: Wow what an amazing day – the weather was wonderful and everyone had a great time – view our slideshow below to see what happened. We’ll be posting more photos and a short film of the event in due course. 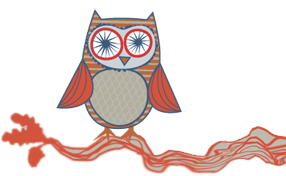 In the meantime you can subscribe to our occasional e-newsletters to be notified when we post new photos and videos and to find out more about future Phoenix52 events, festivals and workshops, just click here! A big thank you to the musicians and performers who came and played for us – Keef Chemistry, McGoldrick and The Good Notes, biff bang pow! and Rag Morris. Thanks also to Lou Gray for her wonderful tree decorations, may poles and the wishing tree, Anita & Charlie from Trinity Community Garden, Dermot at Grow Bristol, the lovely Rachel & Guy at APE Project and Tim Floyd for his nettle recipes demonstration! Bloom Festival was brought to you by Phoenix52 aka Amy Peck, Sally Reay & Kerry Russell and was funded by Bristol City Council’s Arts, Festivals & Events Fund & Ernest Cooke. 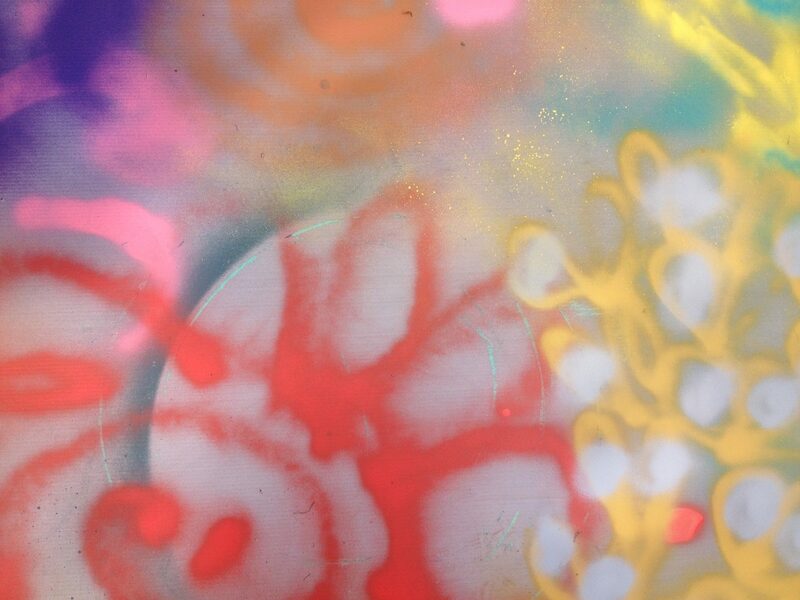 12-2pm – Seedbomb ‘drop in’ Workshop – download our Seed Bomb Fact Sheet & Recipe here! The wonderful APE Project ran a range of fun and popular forestry skills workshops throughout the day. At 3pm there was a Celebratory Parade, with all the children that have made giant flowers & insects throughout the day led by Rag Morris PLUS a May Pole dance for children. 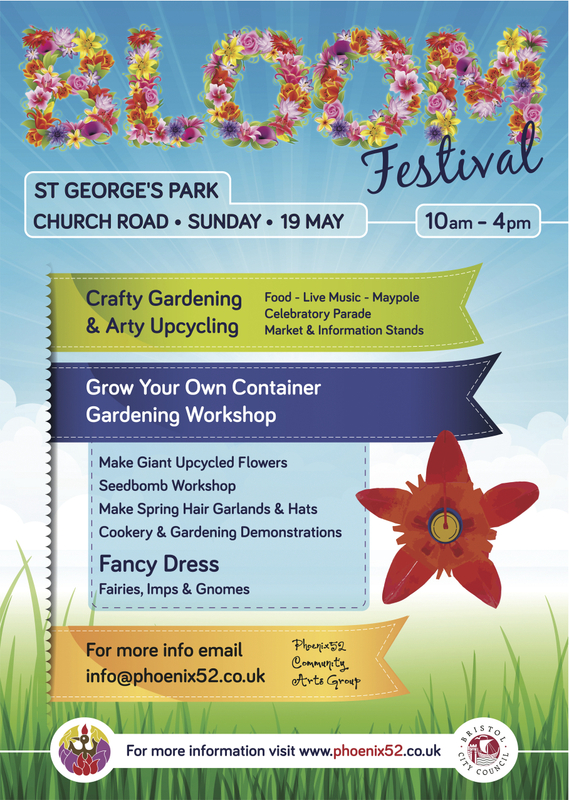 There were also stalls, plant sales and lots of other workshops and creative fun stuff happening. Updated 18 May 2013: As part of the build up to Bloom Festival we ran a graffiti workshop with kids at the skate park in St George’s Park on Saturday 18 May. 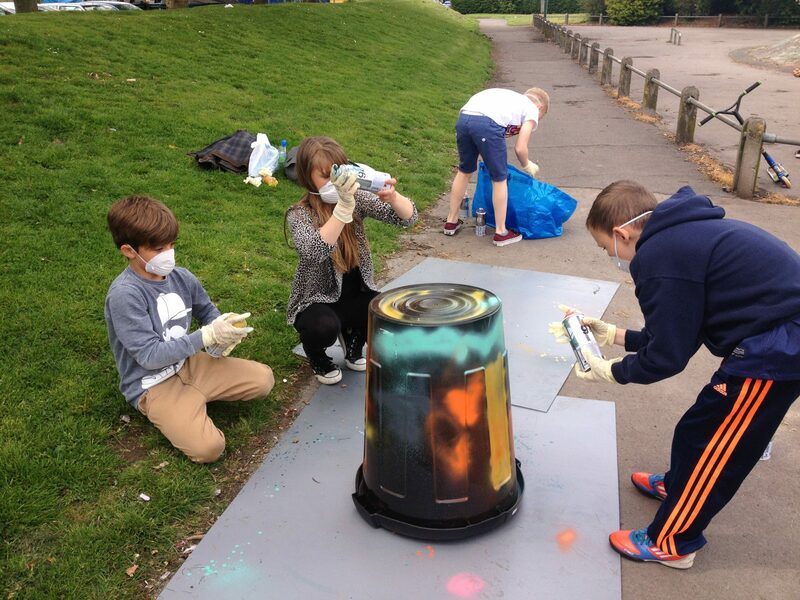 The kids spray painted bins that we used for recycling at Bloom Festival, the idea was to use a fun creative workshop to encourage children and adults to recycle and to throw rubbish in bins not on the floor. This workshop was provided with a Wellbeing grant from St George Neighbourhood Funding. 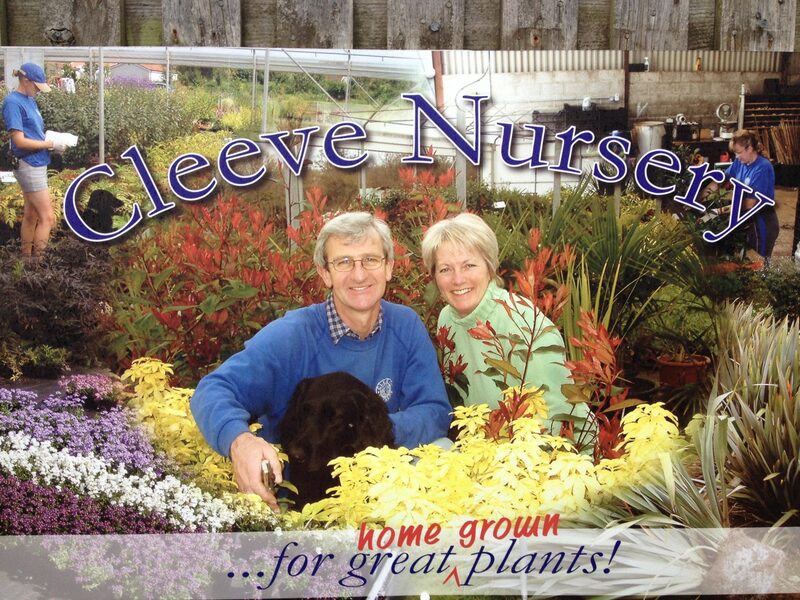 Updated 16 May 2013: Here’s what we did with the plants we bought from Cleve Nursery. Phoenix52 artist Kerry Russell spray painted large olive oil cans from a local restaurant to make these lovely containers and then planted flowers from Cleve Nursery. 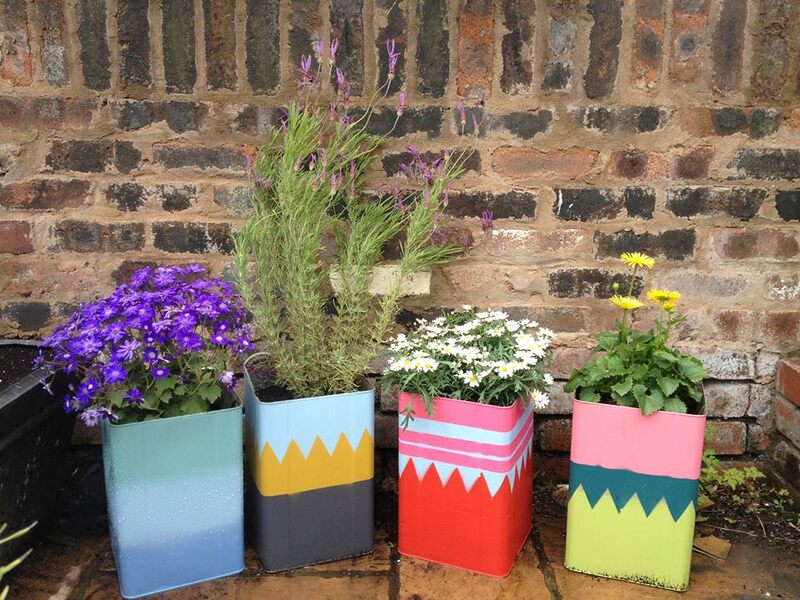 These container gardens were used as decorations and to illustrate arty upcycling and crafty gardening at Bloom Festival! Updated 13 May 2013: Massive thank you to Cleeve Nursery and the amazing Alan & Felicity Down For donating some compost for our container gardening workshops next sunday, and for helping us pick these beautiful plants to go on site. Updated 15 March 2013: We’re delighted to announce that we’ve recently been awarded funding by St George’s Neighbourhood Partnership to run a series of fun creative workshops in a local school and in the local skate park with the aim of encouraging children not to drop litter and to recycle by making giant flowers out of rubbish! 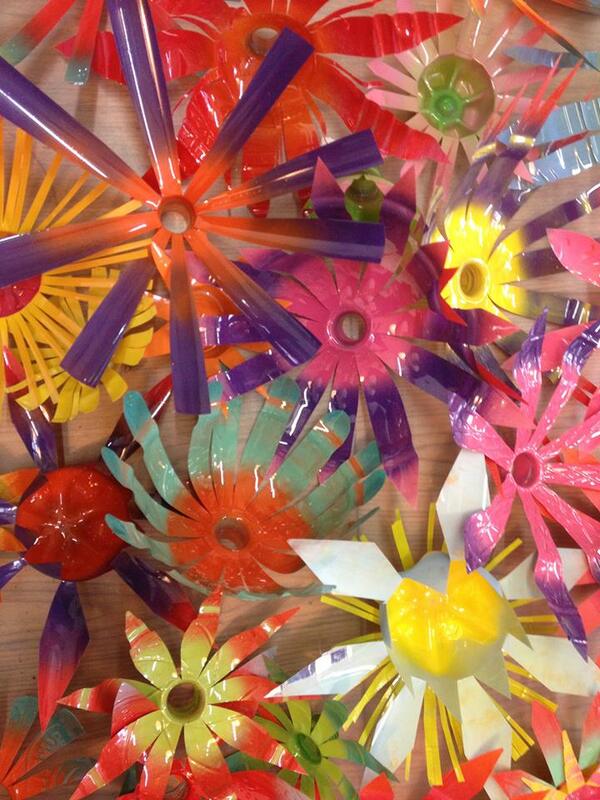 These giant recycled flowers will be displayed outside several shops along Church Road at the end of May. 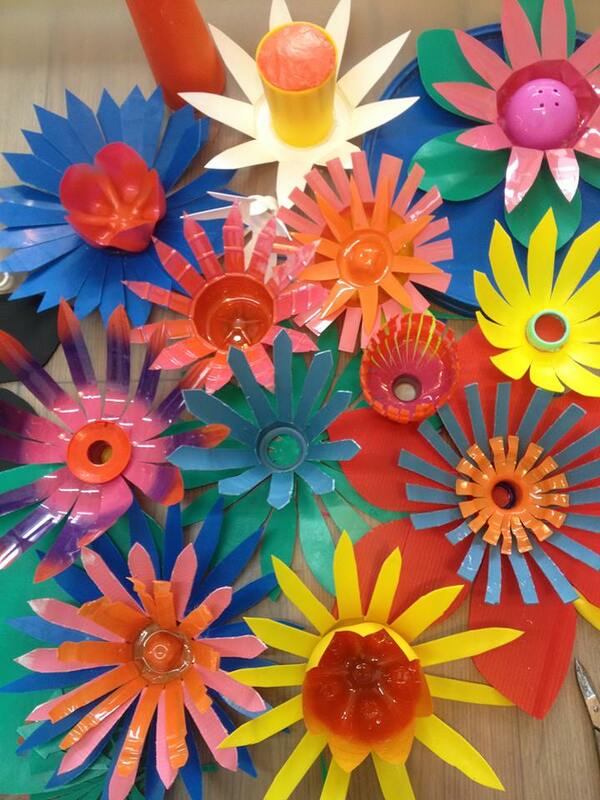 We spent a very creative afternoon down at In Bristol Studios in Barton Hill experimenting and making sample flowers ready for the workshops we’ll be running with children at Summerhill Academy in March. The following information was added on 3 December 2012 when this new website was set up. You can see some photos from Illuminate Festival 2011 here. 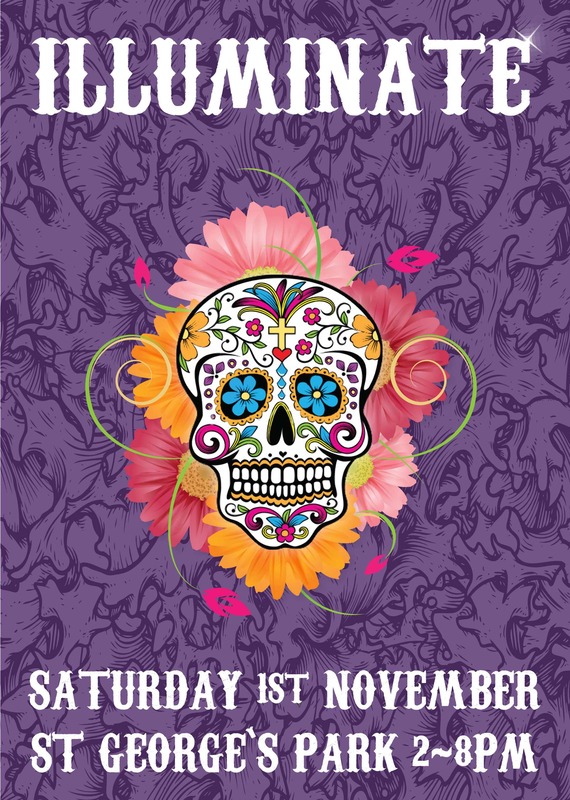 Halloween meets Diwali: the Hindu Festival of Lights meets Dia De Los Muertos: the Mexican Day of the Dead. We ran free lantern making workshops for children prior to the festival and also commissioned ten site-specific art installations, many of them inter-active, that were situated around the old bandstand area in the park during the festival which took place on Saturday 29 October 2011. 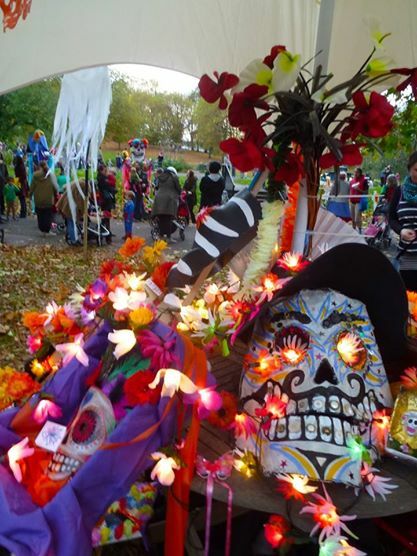 The festival featured mask making and another lantern making workshop, site-specific art installations, projections, music, a community shrine installation, films and woodsman workshops, as well as a Bollywood dance performance and workshop and a lantern parade complete with Dohl Drummers! You can also see some photos from Illuminate Festival 2011 here.